Does Twitter's only hope lie with a #takeover? Wall Street seems to think so. The stock surged more than 6% Monday following a report on tech news site The Information suggesting that venture capitalist Marc Andreessen -- a prolific tweeter -- may want to team up with private equity firm Silver Lake on a deal to buy Twitter (TWTR). Andreessen and Silver Lake did buy a majority stake in Skype in 2009 from eBay (EBAY) and eventually cashed in by selling it to Microsoft (MSFT). So there is a precedent for them getting the band back together again so to speak. Still, it's not clear whether this rumor is just wishful thinking or if there really is a proverbial there there. Silver Lake and Andreessen's firm Andreessen Horowitz had no comment. Twitter was not immediately available for comment. But unless Twitter wows investors with better than expected user growth when it reports earnings on February 10, it seems safe to say there will be more speculation about a Twitter takeover. Twitter's stock is still down more than 20% this year and is 30% below its $26 initial public offering price from November 2013. Twitter and rumors seem to go together like peanut butter and jelly. There has been constant chatter about why Google (GOOGL), uhh I mean Alphabet, should buy Twitter. Calls for a Google-Twitter tie up grew louder after Twitter named former Google chief business officer Omid Kordestani as its new executive chairman in October. Every now and then, there is talk that an activist shareholder may want to take a run at Twitter as well. Carl Icahn's name is usually mentioned, but that seems to be for no other reason than the fact that Icahn knows how to tweet. There was even an odd rumor a few weeks ago about Rupert Murdoch's News Corp. (NWSA) --owner of the Wall Street Journal and New York Post -- considering an investment in Twitter. News Corp. flatly denied the reports but Twitter's stock rallied nonetheless. How desperate are some Twitter investors? An innocent tweet from Twitter shareholder Chris Sacca that merely commented on Oprah Winfrey sparking a rally in Weight Watchers (WTW) by tweeting about how many pounds she lost wound up generating a conversation about Oprah joining Twitter's board. Yes, Twitter is beloved by its fans. And it's understandable why some loyalists are nervous about the company's future. That seems unlikely for a brand that is so entrenched in our pop culture. And it's not as if Twitter is financially on death's door. It has a healthy amount of cash. Related: #Crisis time for Twitter with stock near all-time low? It also has important allies. Saudi Prince Alwaleed Bin Talal and former Microsoft CEO/L.A. Clippers owner Steve Ballmer are top shareholders along with Dorsey and fellow Twitter co-founder Evan Williams. 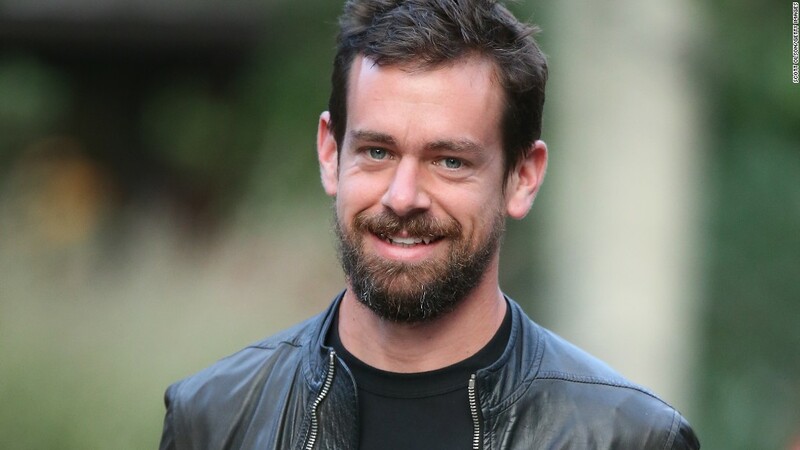 It is unclear if Dorsey or Williams have any willingness to sell Twitter -- no matter how badly the stock performs and no matter how many investors raise concerns about Dorsey running two companies. He's also CEO of mobile payments firm Square (SQ). It may also be fair to compare Twitter's fall from grace as a stock to the plunge Facebook (FB) experienced shortly after its initial public offering. Investors may be overly negative. Facebook was absolutely hated on Wall Street in the summer of 2012. That sentiment didn't last long. But Facebook bounced back (and then some) because it quickly responded to Wall Street's biggest criticism -- the perception that Facebook was not doing enough to boost its mobile presence. Will Twitter someday enjoy a similar rebound? Only if it can demonstrate to investors that it can figure out a way to accelerate its user growth. Dorsey has a chance to prove the naysayers wrong on February 10. If he doesn't, expect more chatter about why Twitter may be better off as a part of a larger tech or media conglomerate ... or as a private company that doesn't have to worry about the fickle demands of hedge funds and day traders.